Diana Tuorto is a Buffalo, NY-based children's author who has been writing fiction, poetry, and creative non-fiction since the age of ten. 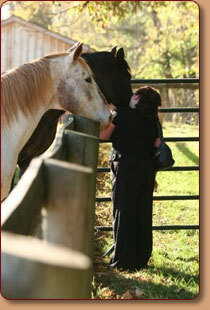 Her children's novels are told from the first person point of view of different horses. A graduate of the University of Pittsburgh with a degree in English Writing and History, Diana is also an active volunteer with various non-profit organizations. In October 2010, Diana released her fourth children's book and first Easy Reader (for ages 6-8+) title, Spirit of the Saluda River. It is based on the true story of Spirit, a blind 20+ year-old Shetland pony rescued from an island in South Carolina's Saluda River. 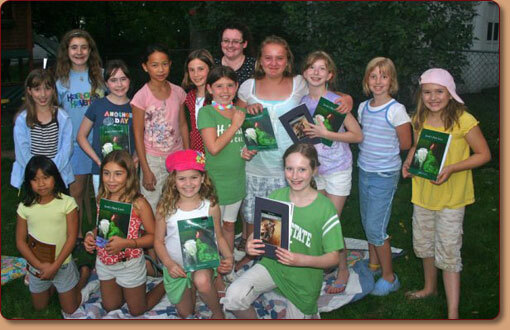 In March 2009, Diana re-released My Desert Sun, her first children's novel. It is the story of Cayuse, a young, free-spirited mustang who is captured and determined to regain his freedom, no matter what the cost. In July 2008, Diana self-published her third novel, Luck of the Draw, the story of an unsuccessful racehorse searching for his life's purpose. In March 2008, Diana self-published her second children's novel, Janie's New Legs. It is a story of friendship between a young paralyzed girl and a pony recovering from the emotional and physical scars of abuse. In March 2006, Diana self-published her first collection of poems, entitled Let The Horses Die: Poems of Longing, Love, and Loss from 1997-2005.